As magnetic cooling refrigerant, Ni–Mn–Sn Heusler alloys have gained significant potentials for a wide range of practical applications as compared with other expensive Ga-doped Ni–Mn based Heusler alloys, toxic As and P doped Mn-based alloys and rare-earth elements like Gd-based alloys. Consequently, an inclusive investigation on magnetostructural transition and magnetocaloric features of Ni43Mn47−xMoxSn10 alloys is carried out. The alloys are assembled through arc-melting technique and their X-ray diffraction analysis confirms their B2-type crystal structure at room temperature. As the Mo contents are increased, the magnetostructural transition temperature increases for a temperature range between Curie temperature of austenite and martensite phases. Obvious metamagnetic behavior and magnetic hysteresis are observed in isothermal magnetization curves, suggesting that the temperature and magnetic field can be used as robust tools for tuning the structural transformation in Heusler alloys. 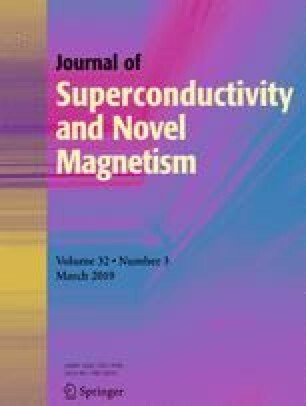 The noticeable magnetocaloric effect suggests that the prepared alloys can be an attractive choice for magnetic refrigeration applications. This work is supported by the National Natural Science Foundation of China (Grant Nos. 11604148, 51571121, and 51601092), Fundamental Research Funds for the Central Universities (Grant Nos. 30916011344 and 30916011345), China Postdoctoral Science Foundation Funded Project (Grant No 2016M591851), Natural Science Foundation of Jiangsu Province (Grant Nos. BK20160833 BK20160829, and BK20140035), Qing Lan Project of Jiangsu Province, and Priority Academic Program Development of Jiangsu Higher Education Institutions.